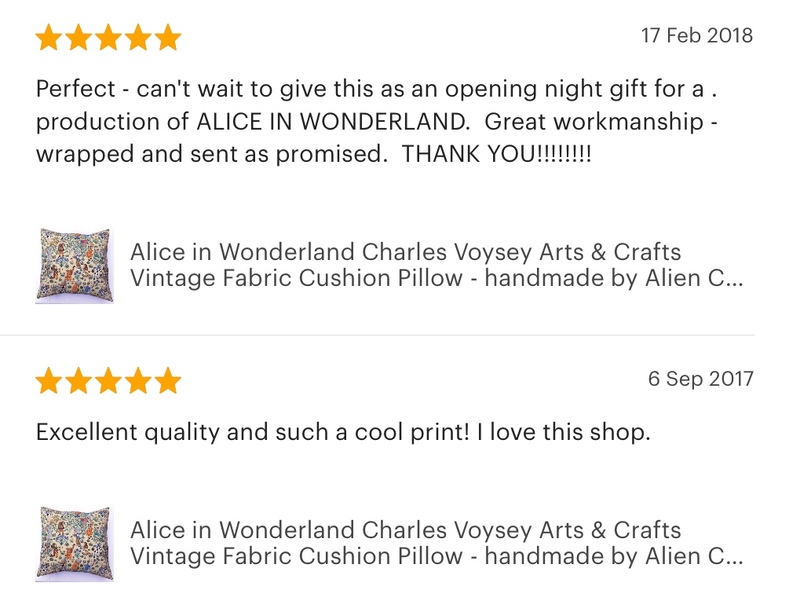 Beautiful Alice in Wonderland rare vintage fabric cushion – handmade by Alien couture. This rare fabric was designed by Arts and Crafts designer Charles Voysey. The V&A Museum in London holds a piece of this fabric in its fabric section.